Walking is without doubt an excellent and often underestimated way to both improve your fitness and help maintain a healthy bodyweight. 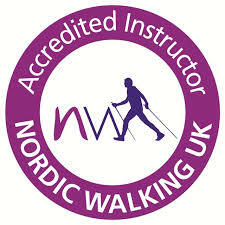 Nordic walking enhances ordinary walking, making it a far more effective form of exercise. It is a very specific fitness technique using specially designed poles and is very different to trekking, hill walking or trail running. 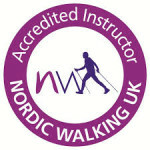 Whilst Nordic walking can be done by anybody it is important to learn the technique correctly if a participant is to get the full benefits from the activity. The correct technique of nordic walking, and specific use of the poles, greatly increases the involvement of the upper body muscles whilst also working the legs. This technique enables around 90% of the body’s muscles to be used together functionally resulting in a significant increase in calorie expenditure for participants. Tones the muscles of the legs, buttocks, chest, shoulders, back, abdominals and the back of your arms.